Thanaruek Laoraowirodge is always on the move. 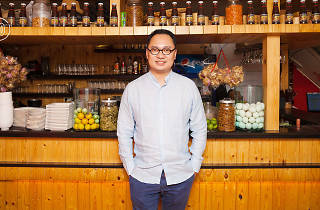 The co-founder of Somtum Der—one of Bangkok’s most popular somtum restaurants—is either overseeing the restaurant’s three international outposts in New York City, Ho Chi Minh and, most recently, Tokyo, or researching for marketing opportunities abroad. His mission: to take the humble somtum, the beloved northeastern delicacy he grew up eating, on a world tour. Somtum Der is Thanaruek’s tribute to his hometown of Khon Kaen. "Though my mother was from Trat, I grew up in the Khon Kaen countryside. My family brought me up in a simple way, so I’m used to local Isaan food and how they are supposed to be eaten and prepared." 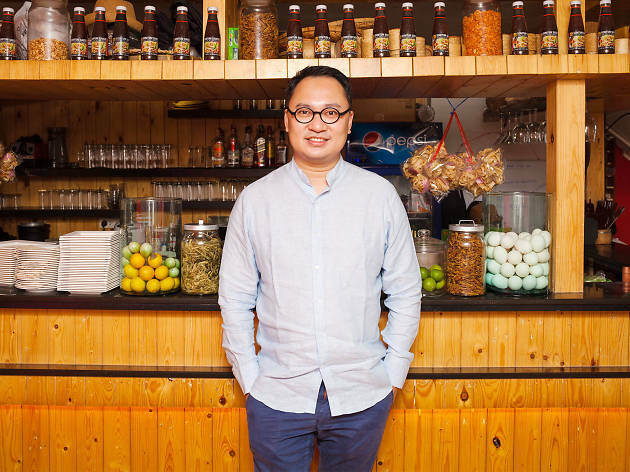 When he moved to Bangkok to become a restaurateur, Thanaruek noticed that there was something missing in the capital’s food scene and eventually saw the opportunity for Somtum Der. "Back in 2012, most Isaan eateries [in Bangkok] prepared somtum to appease Bangkokians’ inclination for sweeter tastes. So, I chose to offer the dish the way I’m used to: salty from fermented fish pla ra (fish sauce), with a bit of acidity and a sweet note in the end." 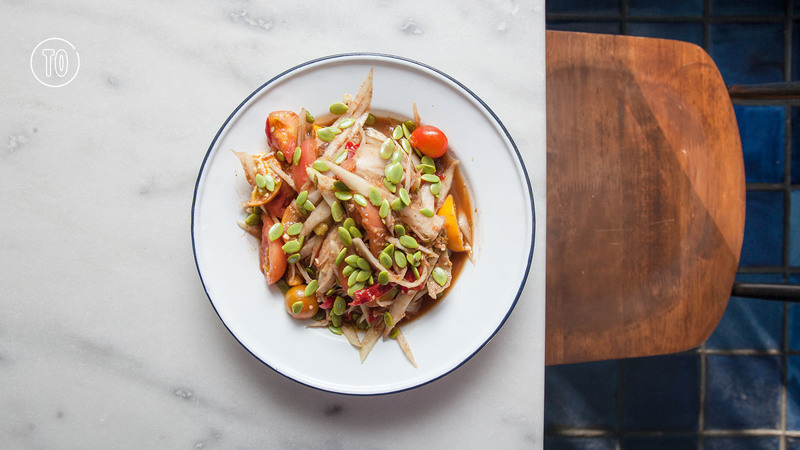 The first Somtum Der in Saladaeng became an overnight sensation and led to the first overseas branch in Lower Manhattan, which also turned out to be a howling success. It’s mostly due to impeccable timing—clichéd international fare had saturated the city and New Yorkers were yearning for more regional and exotic offerings, hence somtum became a more "authentic" alternative to well-known Thai selections like pad Thai and tom yum koong. "Globalization played a vital role in the positive response to Somtum Der in New York. 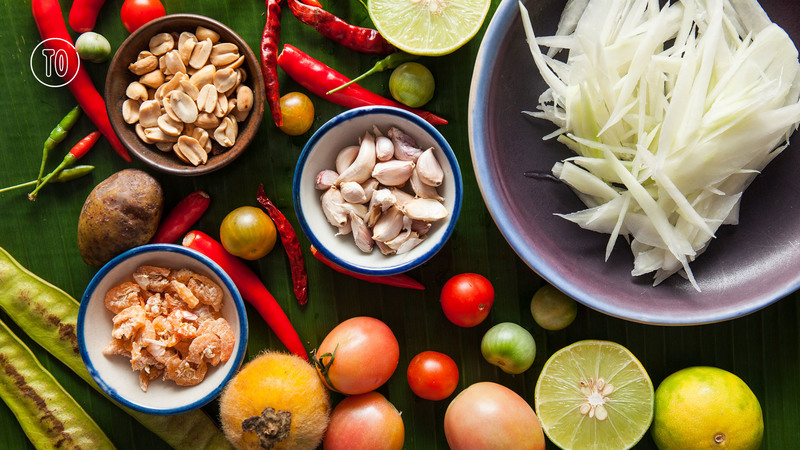 People traveled more, saw the world more, and realized the onslaught of customized Thai cuisine was far from what’s really served in Thailand." The restaurant received Bib Gourmand recognition in the Michelin Guide New York 2015 and, a year later, became the first somtum eatery in the world to receive a Michelin star. 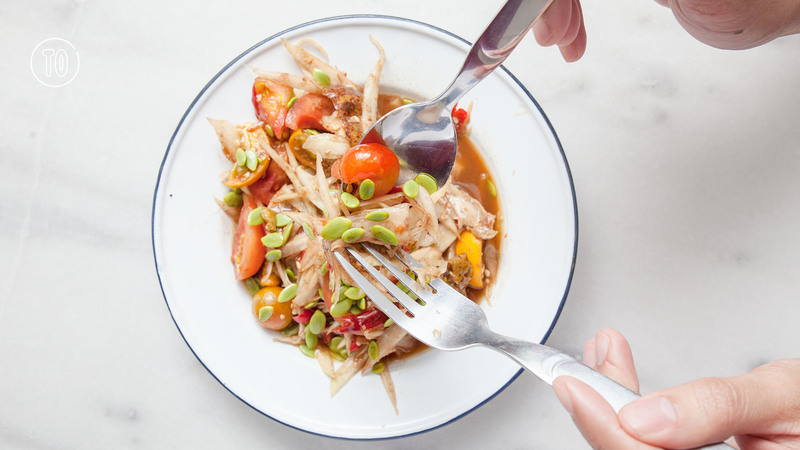 While it’s nearly impossible to source all the ingredients for somtum overseas, Thanareuk tries his best to deliver an experience similar to what they offer in Bangkok. Inevitably, creating an uncompromised version of the dish abroad would require substituting certain ingredients with produce that can be found in that country. 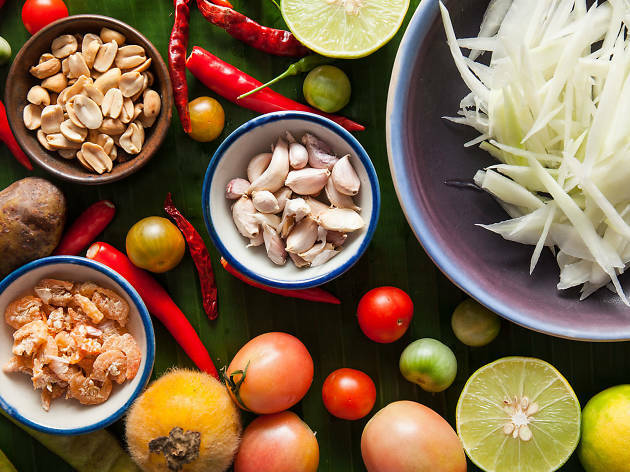 However, the chefs that helm the international kitchens all have to be trained by chef Kornthanut Kittiyanon, Somtum Der’s executive chef, for at least three months, and familiarized with Somtum Der-style somtum. In the end, "the dish has to make Thai expats miss home," Thanareuk says. The thriving of Somtum Der equally depends on delivering a holistic Isaan experience. In all international outlets, Thanaruek curates strong narratives about the northeastern region to establish an intimate connection between the diners and the dishes they’re served. "I want our customers to learn why we eat somtum. And, as an Isaan-born, I find it my duty to put my beloved hometown on the global map." 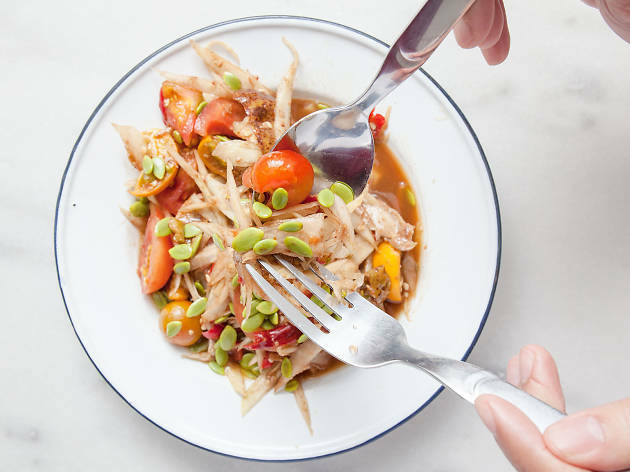 2018 will mark an exciting year for Somtum Der with another local branch opening in Thonglor in March and the second New York outpost invading the hip neighborhood of Red Hook in Brooklyn. 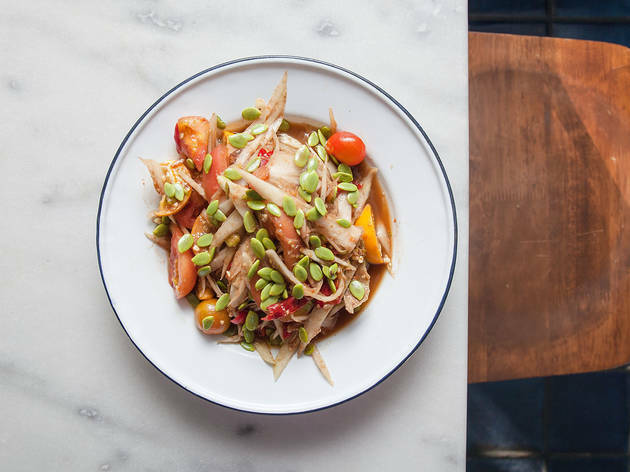 Ultimately, Thanareuk hopes to take his uncompromising version of somtum to other cities across the globe. "But I won’t try too hard and force myself to come up with a precise timeline for my prospective projects. I’m someone who would rather focus on the present, and right now my mission is to make Isaan proud." He’s already done that. Time Out lists down the awesome places to eat somtum in Bangkok—and tells you everything else you need to know about our so-called national dish. Do you know what goes into your somtum?